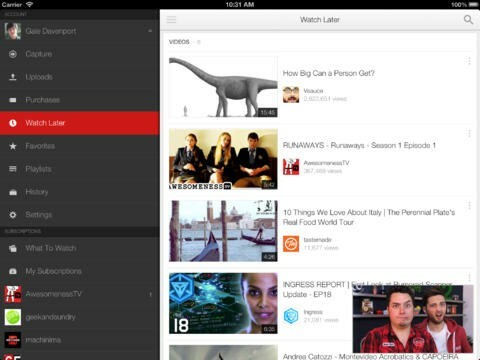 YouTube's app for iOS has also been updated and added many of the features from the Android app. You can watch a video while searching for the next one, just like picture-in-picture, search for playlists and use the "play all" button. 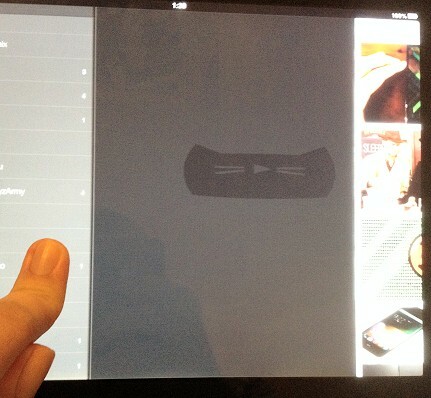 There's something that only works in the iOS app for iPad: an Easter Egg. Open the YouTube app (make sure you have the latest version - 2.0), keep a finger on the left sidebar and use another finger to swipe right until the list of videos because almost empty. You'll see a funny cat with a play button.